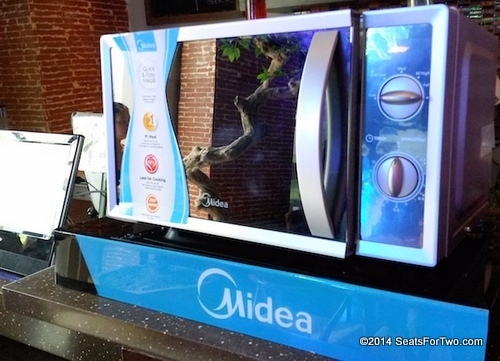 Home > Style > Five Reasons To Love Midea! Time flies so fast, we will be celebrating our 2nd year anniversary on February 2015. As a young couple we also have our own challenging stories of love and marriage. Jonel wears different hats. You may know him as a blogger and a social media consultant at Digital Circles but he’s also a part time professor in a local college teaching Information Technology. On another hand, I used to work in an international staffing company, today I’m a full time housewife enjoying my passion, blogging. Our time is so precious that we don’t want to waste even a single minute. 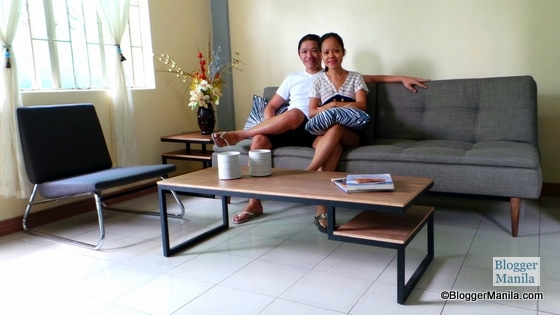 As a homemaker, it delights me to have partners in doing household chores easy and convenient. I don’t think it’s wise to spend most of my time in the kitchen preparing sumptuous meals and hardly find time to cuddle and enjoy a movie date with my husband. I admit, there were days I felt so exhausted I could hardly prepare a decent meal so we end up calling for food delivery. That happened during the first few months of our married life until I find the best partners in the kitchen. A couple of weeks ago, we were invited to the launch of Midea‘s new kitchen appliances presented in a culinary adventure with my all-time favorite, Chef Rob Pengson. It was my first time to meet him in person. 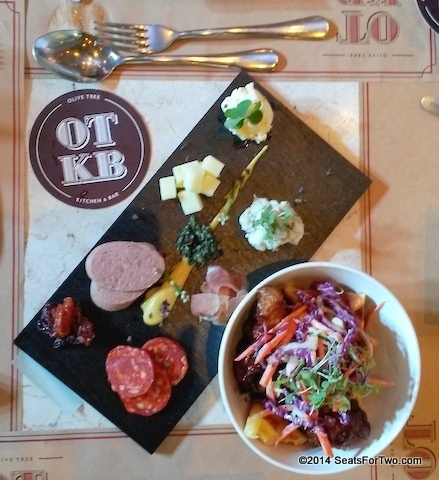 Held at OTKB in BGC, the restaurant turned into a kitchen showroom. 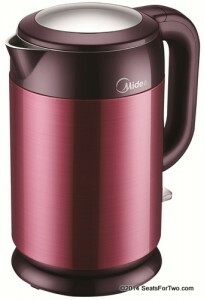 On display were various Midea kitchen appliances from microwave ovens, Multi-cookers, rice cooker and Midea kettle. 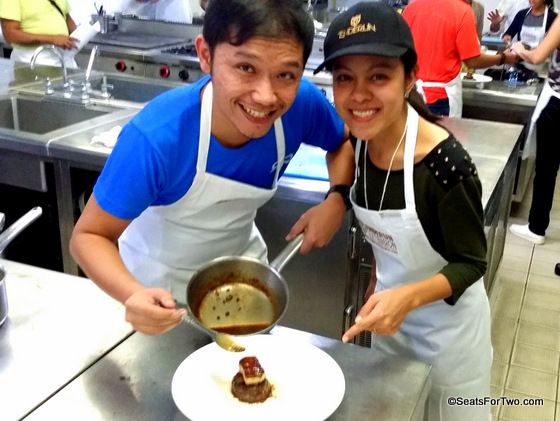 Guests were treated with scrumptious meal courtesy of OTKB while Chef Pengson prepares yummy dishes using Midea kitchen appliances. 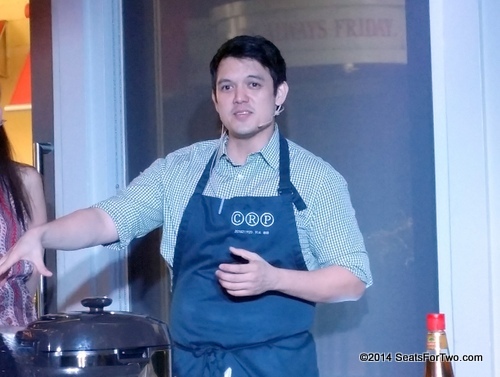 Known as one of the world’s largest producer of consumer appliances, its latest kitchen appliance line, “A New Wave of Cooking“, aims to solve the food-preparation woes of Filipino households. For us low as P1, using Midea’s kitchen range the all-new microwave ovens, which let people cook basic meals for as low as P1. These appliances save on electrical consumption, as it is twice as fast as a regular stove. Amazing isn’t it! Making it friendlier to electricity bills. Rice cooking, the smart way! 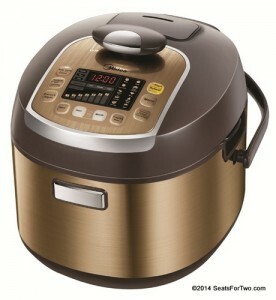 Did you know that you can prepare a delicious ramen on your rice cooker. Easy and convenient! Midea Rice Cooker is equipped with smart sensors that automatically measure the ideal cooking time you need to get the perfect rice, no matter how much water you put. Chef Rob taught us how to prepare a delicious chocolate dessert using Midea microwave open, watch out for the recipe on my next post which I will be using my own Midea microwave! 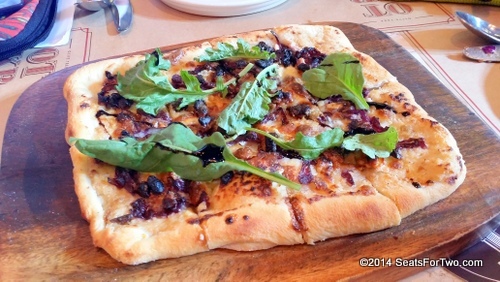 Faster cooking time at lesser cost! 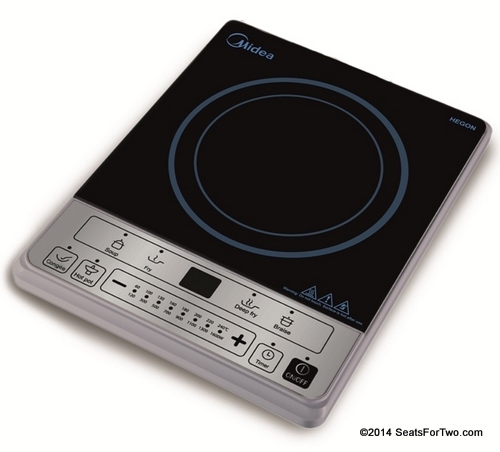 Midea Induction Cooker Energy saving appliances is on top of our choice. 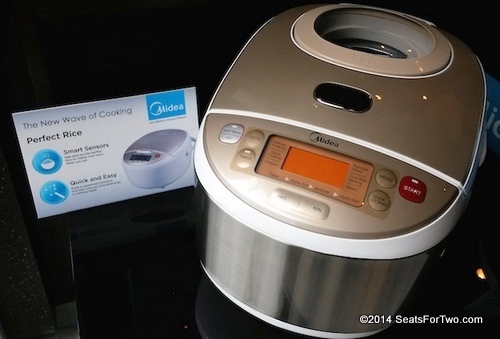 I’m eyeing the Midea Multi-cooker! It will definitely be included in my Christmas wish list!